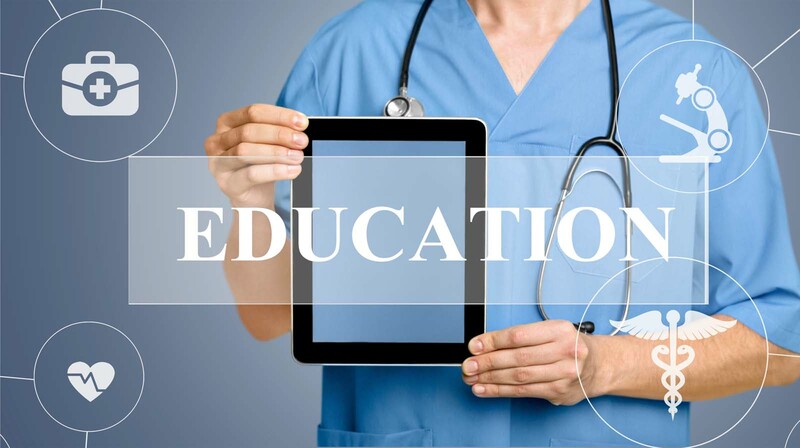 Continuing Medical Education (CME) is a fact of life for most who work in the medical field, and that is a good thing. CME helps medical personnel continue to grow, learn new technologies and modalities and stay in touch with their chosen profession. Radiology CME is the same, but finding ways to stay current with CME requirements can be a challenge. Here are some suggestions for earning CME units. Radiology CME online used to be a bit of a joke. It was easy to skate through and even possible to cheat, as much of online training relied on the honor system. Finding appropriate courses, however, could be challenging. Today, there are several sites dedicated specifically to online CME training in just about every field imaginable. Educational institutions are using webinars more and more to help impart academic learning, as well as industry-specific training. Webinars can be live, or events that you tackle on your own time. There are so many options online that finding radiology online CME in just about every aspect of radiology is easy and seamless. Siri or Alexa tell you everything else, why not what CME options are available? There are multiple apps that are designed to help users find CME options and classes, track class, certification and unit accumulation progress and coordinate with other users on CME activities. If you opt to go this route, you should not limit yourself to popular medical apps and should look into the various opportunities beyond formal online radiology CME courses, including seminars and conferences. That gets us to live events and what online radiology CME options exist. Annual meetings often offer CME unit events, including discussions, forums and seminars. Other conferences focus specifically on radiology, including the latest in technology. There are multiple websites that list prominent radiology conferences, including those offering specific CME unit coverage. Another live option is to attend an industry-specific cruise. This combines vacation with learning and can help you build a network within the radiology and medical field in a more relaxed environment than at a formal conference or seminar. Videos have been a godsend for when CME training is needed in a rush. With each year, however, the offerings have grown more sophisticated and now, online videos can be incorporated into existing online classes, used as extra credit or serve as a stand-alone CME unit. Verification varies from service to service, but there are literally thousands of video CME options for just about every form of medicine imaginable. Podcasts are a relatively new and popular way of accumulating CME units. They are attractive because you can listen to them on your own time and do not have to dedicate time in a classroom, at a seminar, or in an online training forum. Listening to CME training as you travel to and from work, as well as any time you have a few moments can help you build CME credits quickly and easily. You need radiology CME units to stay up on the latest developments in radiology as well as to build your skill set so as to make you as marketable as possible. Fortunately, you have a lot of options. If you still have questions, check out Aunt Minnie CME; they are a great source of radiology CME options that are affordable, easy to set up and use.